Alumnus Greg Louganis ’81 took home two Olympic gold medals in springboard and platform diving at the 1984 Summer Olympics in Los Angeles – repeating the feat at the 1988 Seoul Games. He had earned an Olympic silver medal as a 16-year-old in 1976. 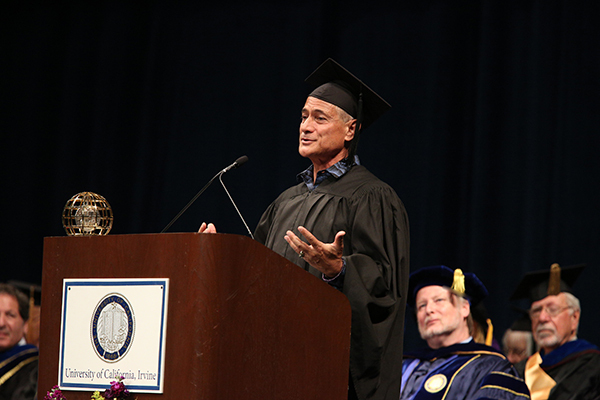 Louganis competed on UCI’s swimming and diving team and earned a bachelor’s degree in drama.